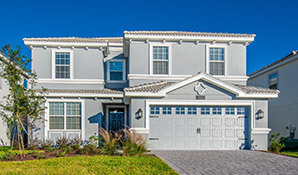 Fly to Orlando and enjoy two weeks in a fabulous villa at the prestigious Champions Gate Resort. The facilities are second to none. Enjoy a round of golf or practise your swing at the driving range. Cool off in the huge resort pool or burn off some holiday calories at the state-of-the-art fitness centre. Kids will love the water slides, lazy river and splash park. And the location is ideal for Orlando's main attractions - Disney is only 12 miles by car. Book now! 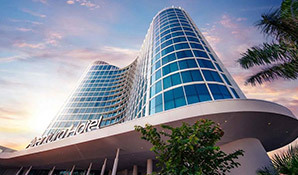 Fly direct to Orlando and stay for two weeks at the Aventura - Universal's newest hotel. The rooms are smart and spacious. The facilities modern and state-of-the-art. Dining options range from a Starbucks in the lobby to a bistro bar on the rooftop - complete with stunning views of Orlando. Universal's theme parks are accessible via connected walkways or free shuttle buses. It's perfect for a family Florida holiday! Prices start at £1095 per person, inclusive of flights, accommodation and car hire. Book now on deposit. ATOL and ABTA protected. Planning your Florida holidays 2021? It's not too early to book your 2021 Orlando holiday. We have advance prices for every month of the year. Browse our offers on this page or call us on 01934 319 851 for more information. We can put together any combination of flights, accommodation and car hire for a tailored package. An advance booking is recommended if you want to travel during peak dates. These include Easter, summer, Christmas and any school holiday. Book today with a deposit of £100 per person. Not sure what you're looking for? Read on for some 2021 Florida holiday ideas. 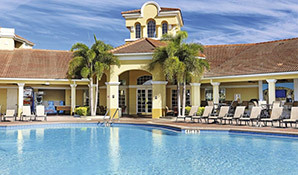 Our January 2021 Two Centre Florida holiday is a good place to start. Fly direct to Orlando and enjoy a week at Bahama Bay Beach Resort in Davenport. The central Florida location is perfect for Orlando's top attractions. After a fun-filled week at the theme parks, head west for a relaxing week on the beautiful white sands of the Gulf Coast. Fully insured car hire is included. All this from just £995 each. February half-term holidays needn't be expensive. Treat the family to a fortnight in a luxury Emerald Island villa with our February 2021 Florida holiday. The resort is right next door to Disney! Flights and car hire are included - all from just £815 per person. Don't delay - early bookers get first choice of villas and cheap Florida flights. How about two weeks at the Cabana Bay Beach Resort? 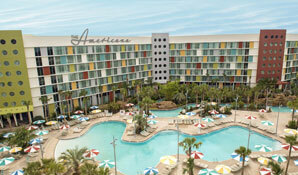 Universal's 50s-style hotel is our pick for your March 2021 Florida holiday. It's a wonderful hotel for families - facilities include two pools, water slide and a bowling alley. Universal Studios is within walking distance. Prices start at £995 per person, inclusive of flights and car hire. If you're planning an Easter 2021 Florida holiday, don't delay. It's the busiest time of year in Orlando and the best villas are booked before flights are released. Visit our Easter 2021 Florida holidays page for more information. If you need to travel on peak Easter weekend dates, get in touch now! Our April 2021 Florida holiday is perfect for small families. 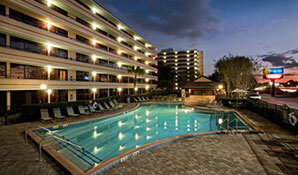 Fly direct to Orlando late April, pick up your SUV and head over to the Rosen Inn at Pointe Orlando. Situated on the popular International Drive, there's a wealth of entertainment on your doorstep. Shopping, bars and restaurants are all nearby. Disney and Universal are a short drive away. Book in advance now on deposit. 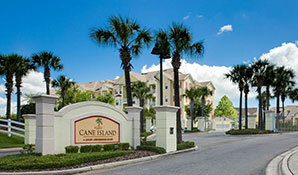 Cane Island Resort in Kissimmee is our suggestion for your May 2021 Florida holidays. The comfortable apartments are well-furnished and contain the usual amenities. Disney World is only 3 miles away; Universal Studios is 16 miles. Book in advance now from £875 per person. Prices include Orlando flights and car hire. If you're planning to depart on peak half-term dates, don't delay! The sleek and stylish Aventura is our recommendation for your June 2021 Florida holiday. This impressive, contemporary building is Universal's newest hotel. Enjoy a Starbucks in the hotel lobby, take a quick dip in the pool then stroll to the theme parks via interconnected walkways. Free shuttle buses are on hand if you prefer not to walk! After a fun-packed day at the parks, relax at the rooftop bar and take in the stunning vista. Prices start at £1095 per person, inclusive of flights, accommodation and car hire. No Florida holiday is complete without a trip to the theme parks. And what could be better than staying right next door to Disney World? Our early July 2021 Florida holiday includes two weeks in an Emerald Island townhouse. This beautiful resort is only a couple of miles from Disney. Prices start at £1075 per person, based on a party of 6 adults. Flights and car hire are included. Large groups will appreciate our July 2021 Florida holiday offer. This luxury villa in Champions Gate Resort comfortably sleeps 12 people - ideal for extended families. The resort itself is beautiful with an impressive array of amenities. Book now from £1295 per person. Your flights and minivan hire are included in the price. Are you stuck with school holiday dates? Prices are more reasonable than you might think. Check out our August 2021 Florida holiday for example. 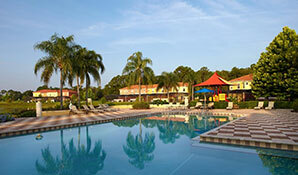 The price includes flights, car hire and two weeks at the Blue Heron Beach Resort in Lake Buena Vista. It's ideal for families looking for a Disney holiday. Book early for peak dates. Can you fly on or after 23rd August 2021? The airlines drop their prices in the last week of the month. Take advantage with our late-August 2021 Florida holiday. We've chosen the popular Highlands Reserve in Davenport. The villas are comfortable and well-priced. Central Orlando's top attractions are all within easy reach. Book early for first choice of accommodation - the best villas are reserved quickly! September is an excellent month for a Florida holiday - the kids are back in school so the attractions are less crowded. Airfares are great value too - especially on indirect routes. Take advantage with a Manhattan stopover. Fly direct to New York, spend a couple of days in the Big Apple then head south for 11 nights in Orlando. Or perhaps you'd prefer to stop in New York on your return? The choice is up to you. If you need inspiration, check out our September 2021 Florida holiday. Prices start at £1225 per person inclusive of flights, car hire and accommodation. Book in advance now. Planning an October half-term getaway? Orlando's Halloween entertainment is superb. And you're right in the middle of the action with our October 2021 Florida holiday. 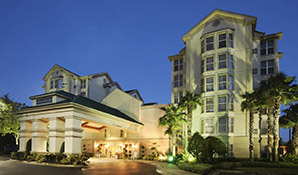 Homewood Suites on International Drive is just a few miles from Universal and Disney. Shops and restaurants are a short walk away. This family holiday is priced at £975 per person and includes flights, hotel suite and car hire. But don't delay - Florida is busy at this time of year. Book early if you need to fly on the weekends of 16th-17th or 23rd-24th October 2021. Planning a Florida holiday on a budget? November is the perfect month to travel. Airfares are great value and the parks are quieter than October and December. 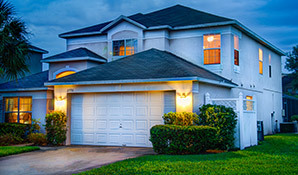 Fly direct to Orlando and stay for two weeks in a Regal Oaks townhouse in Kissimmee. Disney and Universal are close by. The entertainment, bars, shops and restaurants of Kissimmee's Old Town are on your doorstop. Explore further afield in a fully-insured minivan. All from just £865 per person. All our Florida holidays 2021 are ATOL and ABTA protected. Call us on 01934 319 851 or enquire online. Book with a deposit of £100 per person - balances aren't due until 90 days before departure. Looking for a summer getaway and stuck with school holiday dates? Don't worry - we can save you money. 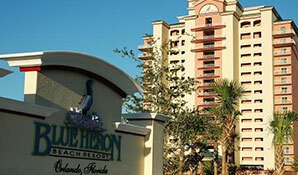 Fly direct to Orlando and stay for two weeks at the Blue Heron Beach Resort in Lake Buena Vista. Disney is within walking distance. Central Florida's top attractions are all within easy reach. Prices start at £1075 per person inclusive of flights, car hire and accommodation. An early booking is recommended, especially on peak summer dates. Book on deposit now. ATOL and ABTA protection. How about a few days exploring Manhattan on your way to Florida? Indirect flights are great value in September - take advantage with a New York stopover. We've chosen the San Carlos Hotel in Manhattan, but there are plenty of options to choose from. Once you've had your fill of the Big Apple, head south to Orlando for a fun-filled adventure. 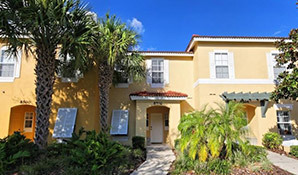 Stay for 11 nights at Vista Cay in a lovely apartment. Orlando's best attractions are all within easy reach. Prices start at £1225 inclusive of hotels, flights and car hire. Book now!